Open a can of pineapple chunks and drain the liquid. 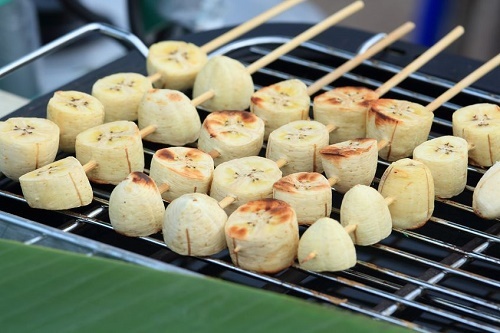 Slide the pieces on skewers, alternating them with slices of banana. Grill over medium heat for 2 minutes until you see some browning. Squeeze lemon juice over the fruit pieces, dust with cinnamon powder, and serve.